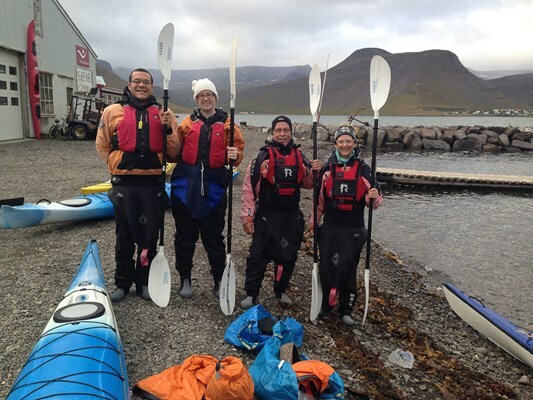 On this trip we try to paddle with the wind the whole time and either start in Bolungarvík or Ísafjörður depending on the wind direction. Still there might be some wind against us for a short period of time. Wind is a force of nature and we can't control it! We start the trip at our café in Bræðraborg where we get the gear needed for the trip. We then head down to the beach and put the kayaks on the water after a short safety briefing. First we round the headland of Suðurtangi and start paddling out the fjord. After about an hour paddle, we pass the small fishing village of Hnífsdalur and start seeing the dark side of Óshlíð that is almost always in the shadow. We make a landing on the beach beneath Seljadalur Valley and have a hearty lunch prepared by the girls at the café, while watching the birds and the seals outside the shore. We continue en route and have fun getting close to the sea stacks close to the shore and maybe feel the swell coming from the north. Next stop if conditions allow, is at the Ósvör fishing hut that was rebuilt in exactly the same style as the huts fishermen used to live in all aroud the coast of Iceland for centuries. 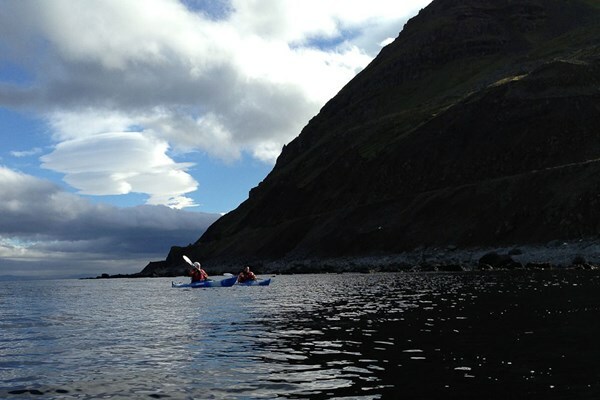 If people want, we can end the day with a short kayak surfing session on the sand beach in Bolungarvík. That is if you're prepared to get a little wet....! On this trip we try to paddle with the wind. 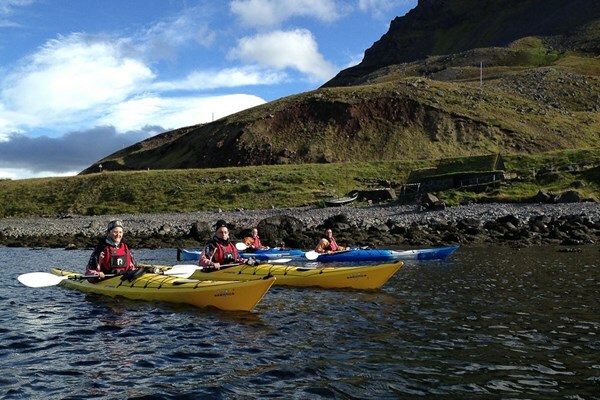 So, if we have a Northerly breeze, we start the trip in Bolungarvík and paddle in the other direction to Ísafjörður. 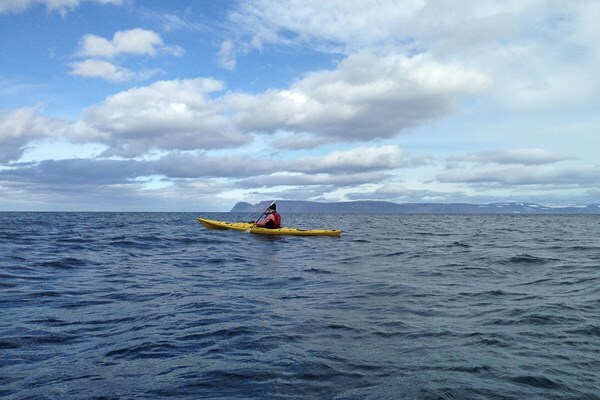 Disclaimer: All kayak trips are undertaken on the responsibility of its participants. BOREA/West Tours does not assume any responsibility for accidents which are caused by its customers or can be traced to their own actions. Participants have to sign a waiver before undertaking all trips stating that they realize that all outdoor activities carry an inherit risk. Spare clothes. Especially important if you want to play in the surf in Bolungarvík. Warm clothes to wear while paddling. 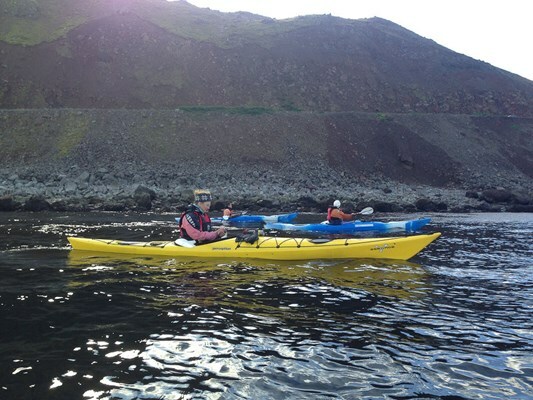 It is recommended you wear wool or fleece bottoms and tops underneath the waterproof kayaking clothing. 1. Is this trip for beginners? Yes and no! 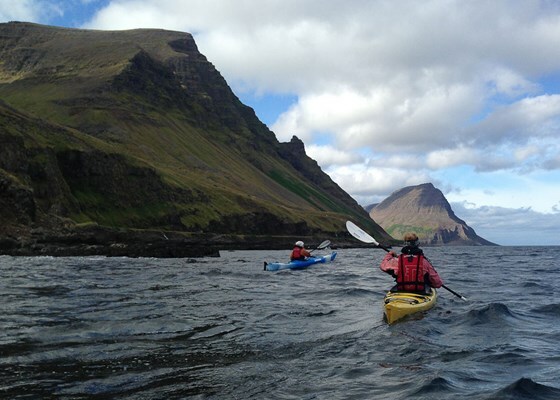 If you're an active person and in good shape but with no kayaking experience, you should be able to do this trip. 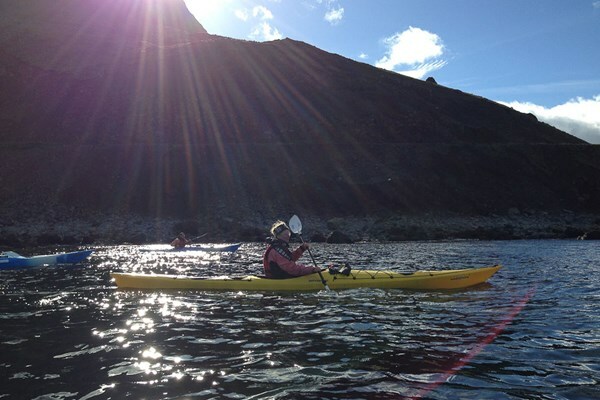 We would rather recommend the Calm Water Kayaking if you don't do any activities on a regular basis. 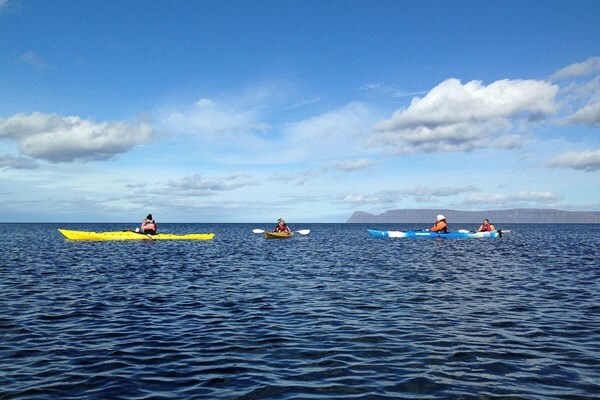 We recommend some kayaking experience on the sea (small lakes don't count!) since the sea can be choppy in some parts on this trip. 2. Is there a chance to see whales on this tour? It's not likely. 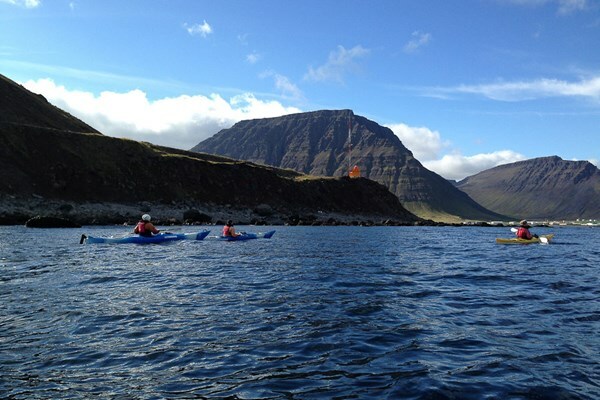 We recommend the Wildlife of Vigur Island if you want to see whales. The chances are much higher on that tour. Though we cant' guarantee it of course. 3. Is it possible to have a tandem boat? Yes it's possible but we can't promise it until last minute or if you order it beforehand. We don't have a lot of tandem boats but we try to fulfil your needs.